Professor Michael Ben-Gad has become a fellow of the Royal Society for the Encouragement of Arts, Manufactures and Commerce (RSA). 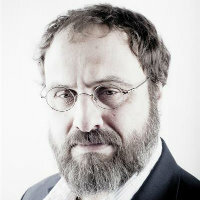 The RSA invited Professor Ben-Gad to join its fellowship due to his “exceptional research focusing on distortionary taxation, public debt and immigration”. Professor Ben-Gad said: “This was completely unexpected. I am particularly pleased that along with my work on fiscal policy the RSA mentioned immigration, as the Department of Economics at City is now a real centre for this type of research. “Aside from me, Dr Alice Mesnard, Dr Javier Ortega, Professor Joseph Pearlman, Dr Agne Suziedelyte and Dr Firat Yaman are all working on research related to the economics of migration or have published on this topic in the past.